Mint Director H.R. Linderman requested that the coining department prepare two sets of the 1868 coinage in aluminum, and then revised his request a couple days later to have a total of four sets prepared. He presented one set to the Bank of England and another to France. 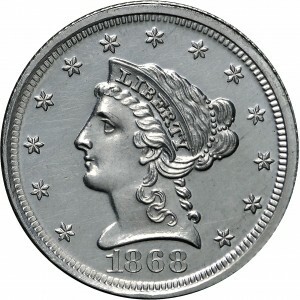 Today, several of the denominations have more than four aluminum examples known, thus additional requests were certainly made. One of these sets was acquired by the Garrett Collection in 1882. Purchased from Joe Flynn, Sr. 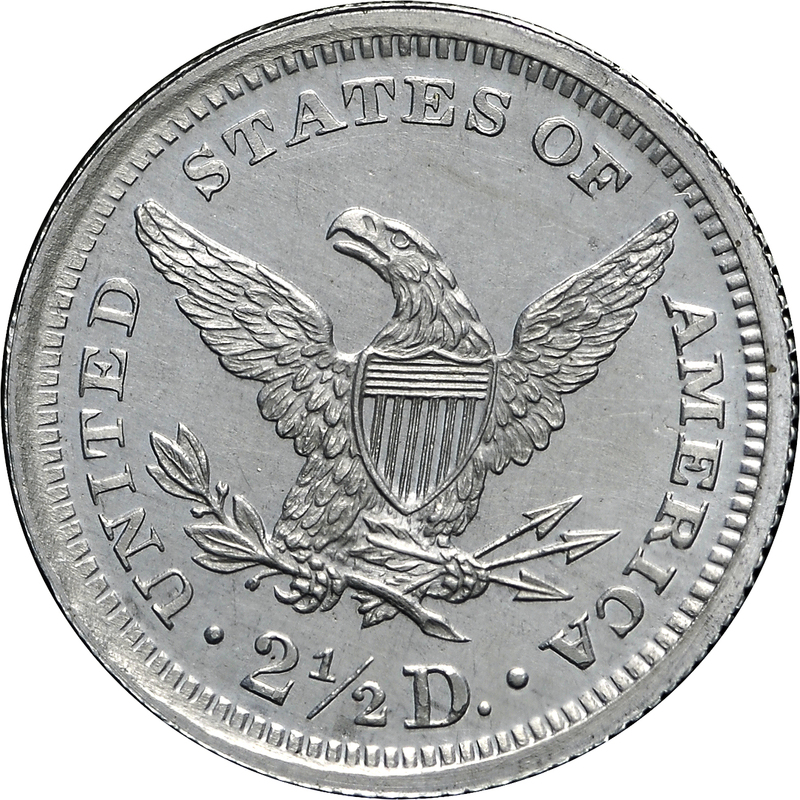 Coin Co., September 10, 1971. 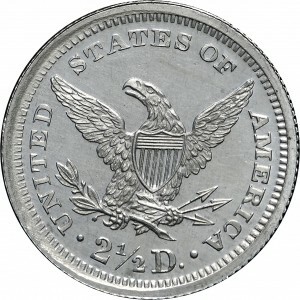 Standard die of circulating quarter eagle.